I can finally post about this now. I’d picked up some pretty discontinued Debbie Bliss yarn (Soho) for a jumper for Mum last year. And I finally got around to knitting it up. Figured I would be better off having a specific target to finish it (as I seem to have a block about finishing things that need 2 of something – second sleeve or sock just feel like they take forever). So Mother’s Day it was. 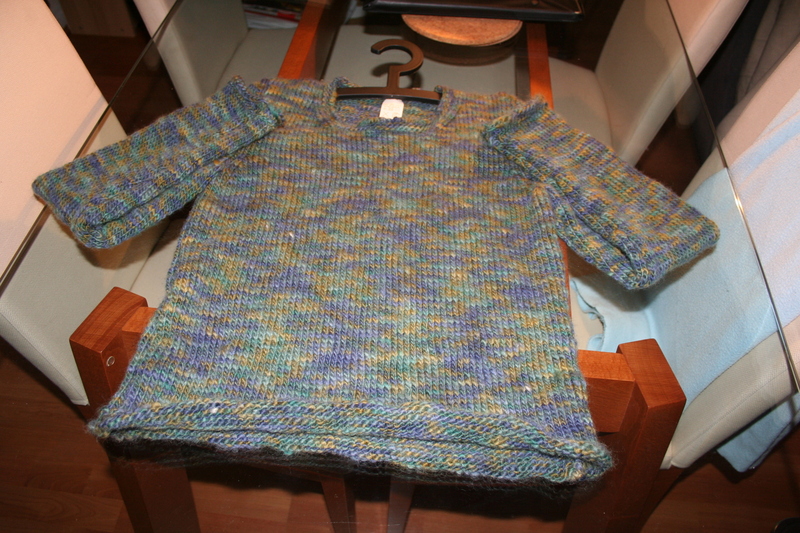 I’d finished knitting the last sleeve up on friday night, and I’d sewn all the rest of the jumper together but saturday night saw me frantically sewing in the sleeve and all the ends so it was done on time. 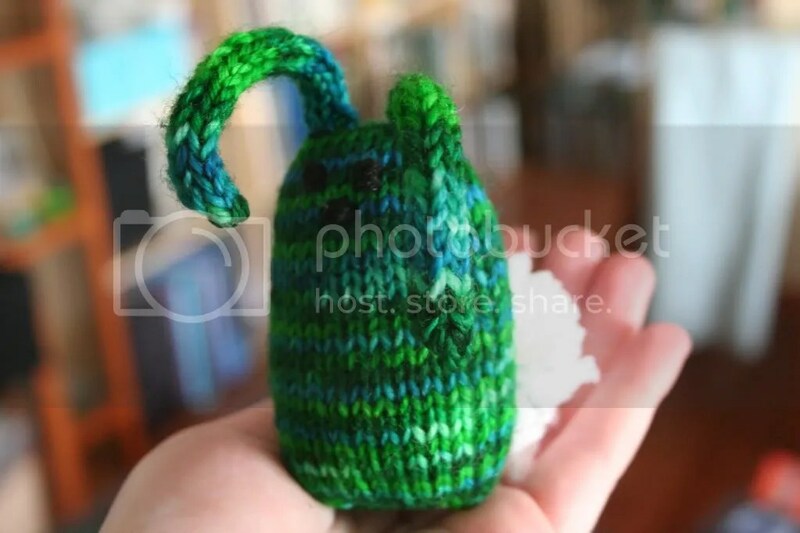 I’d sent a wee note with the card and a bunny nugget, so she had to follow the instructions and find the item on my Ravelry project page. Thankfully she liked it… now all we have to do it make sure it fits!